Oddly there is no Irish given on the Discovery map for this name, although two other peaks are named Péicín, possibly erroneously. Also known as Kilcurrane. Peakeen Mountain is the 408th highest place in Ireland. 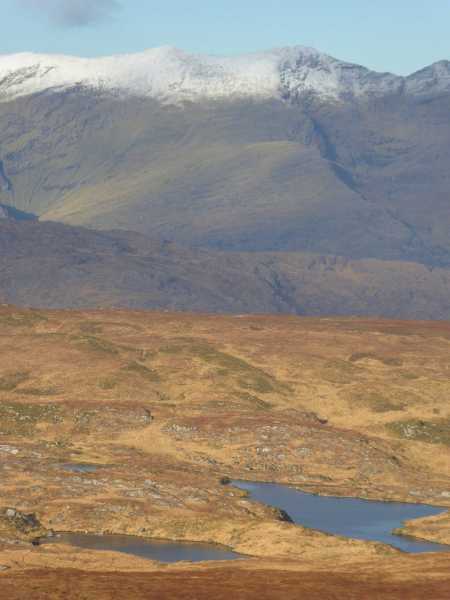 Picture from Colin Murphy : The snow-capped Reeks from Peakeen summit. Picture: The snow-capped Reeks from Peakeen summit.